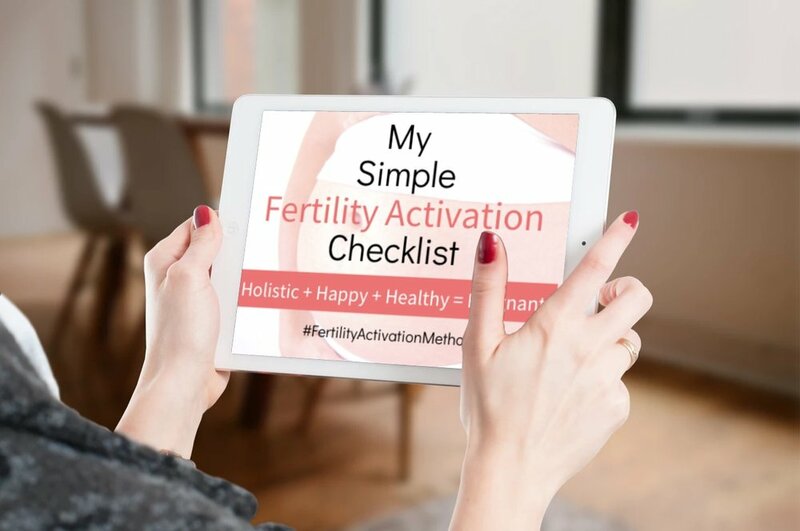 You're probably focused on the mechanics of getting pregnant; the right hormones, unblocked tubes, thickness of the lining, good quality eggs, healthy sperm, a fibroid-free uterus and so forth. But are you overlooking the deeper side of health and healing? Stress is more than just muscle tension, releasing too much cortisol and inflammation. Stress is an unconscious belief that affects your health. A belief that you’re not good enough. That you’re not worthy. That you need to perfect, gain approval or that you’re responsible for everyone’s feelings. Each belief is charged with a vibration that delivers a message to your body on a cellular level. It changes your chemistry. It reroutes your energetic system which happens to be WAY more powerful than the mechanics of it all. This may be hard to prove with science (although it finally is being proven and will continue to be). Science is relatively young and naive. It wasn’t that long ago that science said the world was flat. In the 50’s, babies were born with deformities because doctors believed pharmaceuticals couldn’t penetrate the placenta. Boy, were they wrong. Science is important, but it still has a lot to learn. Your intuition, on the other hand, has unlimited access to timeless wisdom. Intuition involves your mind-body connection. It’s about paying attention to how you feel and what your body has to tell you. Your mind can trick you, but your body never lies. It tells you stories, gives you messages and won’t let you ignore them. When I was on a female entrepreneur retreat in Peru last Spring, I coached a woman on a spiritual healing journey. She’d confided in me that her and her fiance were eager to start their family, but that she was concerned with her reproductive health. She had a large fibroid in her uterus causing her cycles to be painful, irregular and with dark thick flow. As we got into deeper conversation with each other, she also told me how she feels responsible for her mother, father and brother. Her parents are no longer together and her brother is older. But they put a lot of the weight on her shoulders, from borrowing money without repaying it, to living in her house and keeping her ex-boyfriend as a roommate against her wishes. She's a naturally kind and generous spirit without a mean bone in her body, so it was apparent how easily others could put their burdens one her. It was as if she was carrying the weight of her family literally in her womb in the form of a large fibroid. By unconsciously carrying it in her womb, she’d prevent herself from repeating the familial cycle. Plus, how could she free up her energy for her own family when her parents and siblings were demanding it for themselves? On her spiritual healing pilgrimage walking through the Andes around sacred lakes hidden within the summits with hardly any oxygen to breathe, she cried while consciously dropping a little bit of the weight with each step. After releasing heavy emotional bagger, her next cycle was the first 28 day cycle of her life. It was also the first painless cycle with healthy bright red flow. It’s not easy letting go of these patterns. They become a part of you. And although they no longer serve you, it can be painful pulling them out of your energetic system. It’s like getting a splinter and leaving it there. It hurts, but you get used to it and your body grows around it making it it’s own. But eventually it grows infected. And it will sting like hell pulling it out, but ya gotta do it. Cause if not, that one tiny splinter could kill you one day. "Your eggs are old. ": How to cope with negative fertility messages.